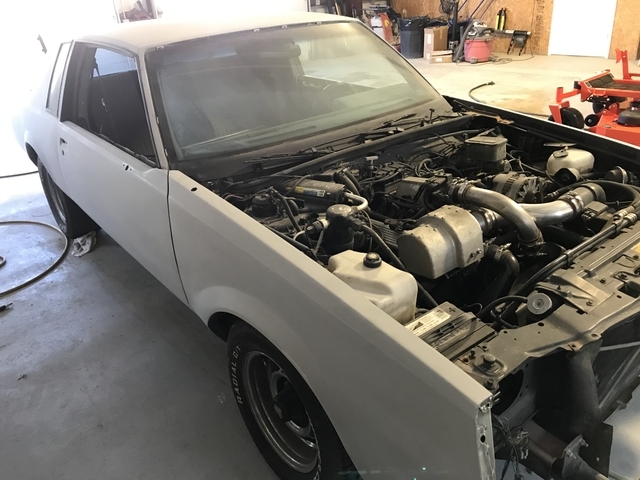 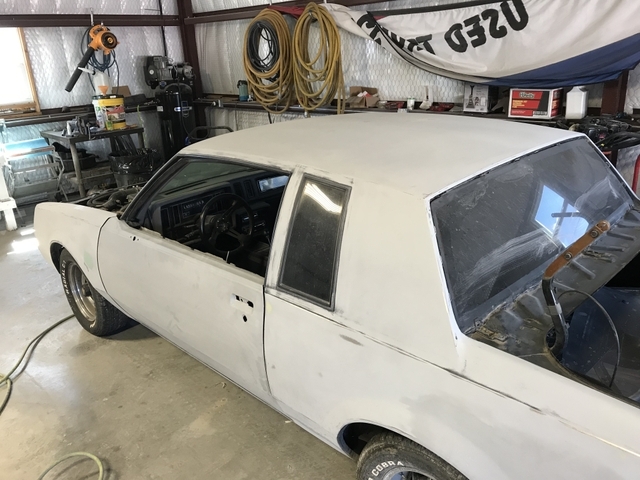 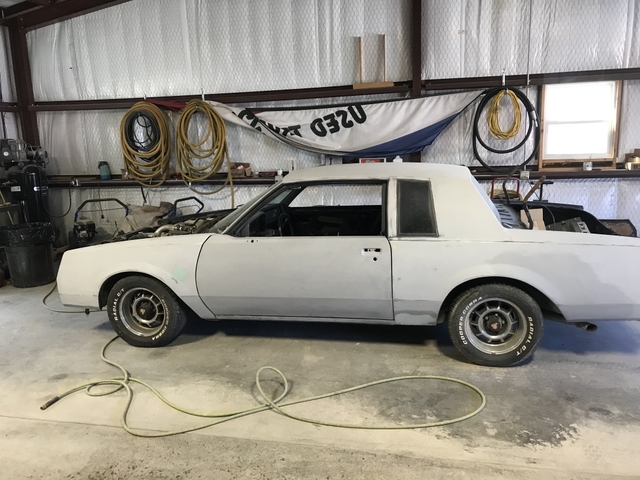 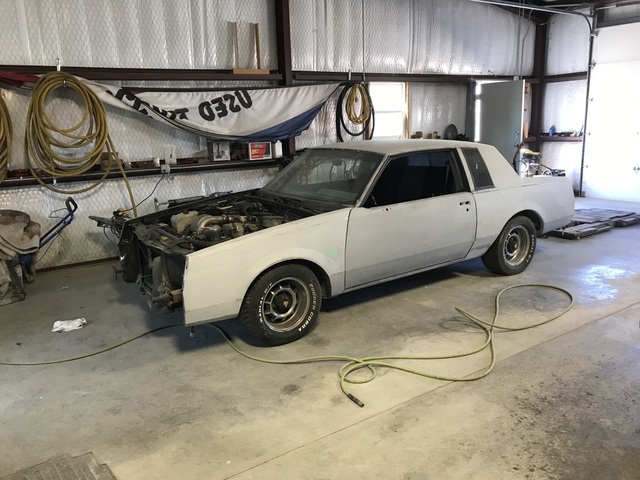 1986 BUICK GRAND NATIONAL PROJECT, BODY WORK IS DONE AND READY FOR FINAL PRIMER COAT AND PAINT, THE HOOD, DECK LID , BUMPERS AND DOOR OPENINGS HAVE ALREADY BEEN PAINTED BLACK BASECOAT CLEARCOAT. 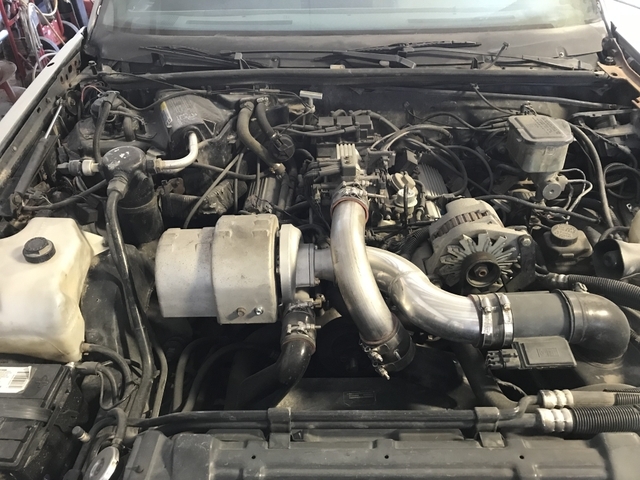 ORIGINAL MOTOR RUNS AND DRIVES, ORIGINAL TURBO THAT WAS REBUILT BY LIMIT ENGINEERING. 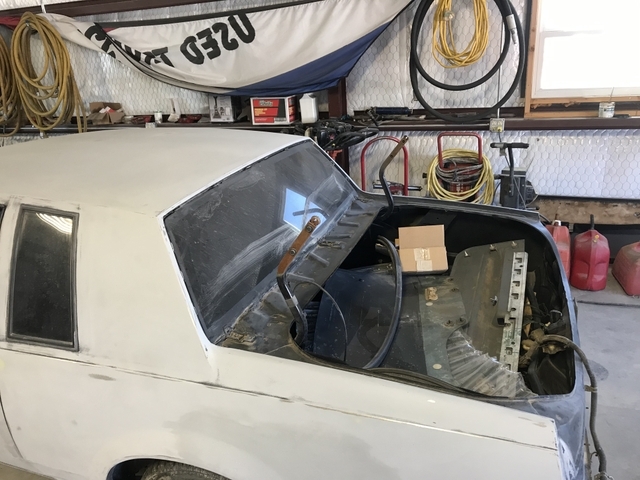 THE CAR COMES WITH ALL THE ORIGINAL PARTS LIKE STEERING WHEEL, SEATS, STEREO ETC. 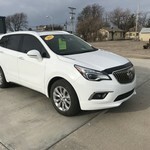 SELLING BECAUSE I AM SHORT ON TIME AND STORAGE SPACE. 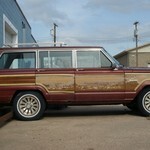 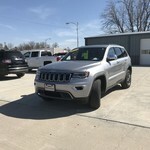 PLEASE CALL GARY AT 620-874-1057 IN SCOTT CITY.